As you read this, I will be riding from Chicago to Tucson via Amtrak. I will be enjoying myself on the trip, as I often do, and I have something planned for Tucson that will work for a future article. I will not watch the Super Bowl live, though I will be watching it on the DVR. But I’ve been wanting to do a special for the big game, and I’ve got a few items that we are going to examine today. 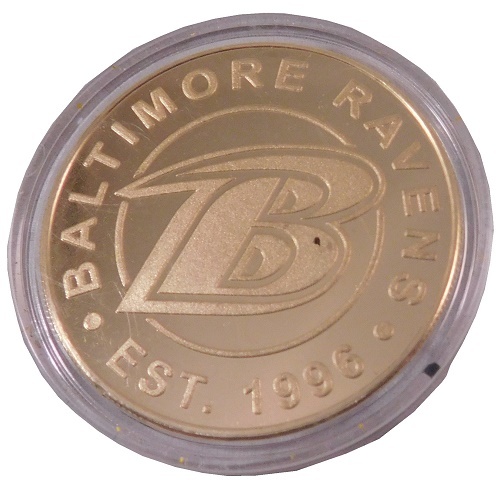 As has been discussed on The Driver Suit Blog before, I’m a fan of game-used toss coins. 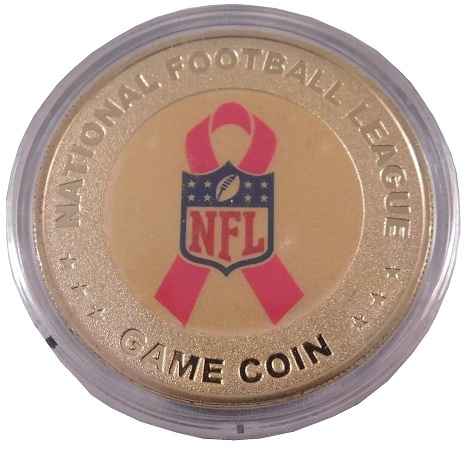 I have a collection of them from different events, and this week, we are going to look at a pinkwashing coin from 2011. 2011 was a great year to be a Ravens fan. 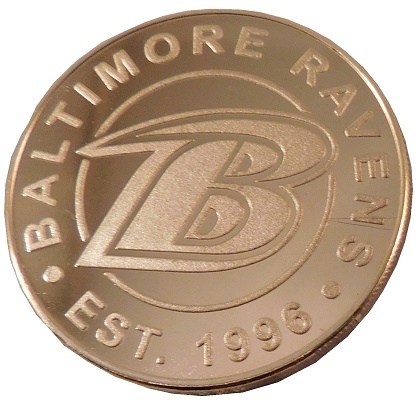 With a solid 12-4 record, it looked as though the Ravens would be the Super Bowl champions, but in the AFC Championship, they lost in a shocker to the New England Patriots, who would win the championship. One team that looked decent, but didn’t make the playoffs were the New York Jets. With an 8-8 record, they missed the playoffs for the first time since 2008. The two teams would meet at M&T Bank Stadium in Baltimore on October 2, 2011. 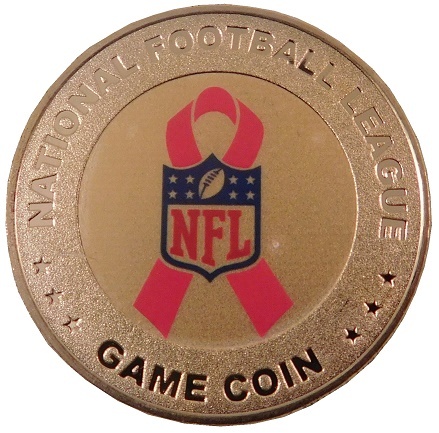 This special coin was used for the coin toss, which New York won, and deferred. The Franklin Mint made coin doesn’t really show use, and is number 0001. It comes with PSA/DNA NFL Auction authentication. The other thing I wanted to display for my big game special is from another aspect of the sports memorabilia industry that I’ve wanted to discuss for a while. With a 5-11 record, the Jacksonville Jaguars season in 2015 is one the team would rather forget. Blake Bortles had a mediocre season, and the Jaguars were near the bottom in all key stats. The Jaguars were never close to making the playoffs in 2015. On December 20, 2015, the Jaguars played host to the Atlanta Falcons at EverBank Field in Jacksonville. The Jaguars had a strong first half, but the Falcons had a strong second half, and wound up winning 23-17. During that game, this pylon was near one of the endzones. 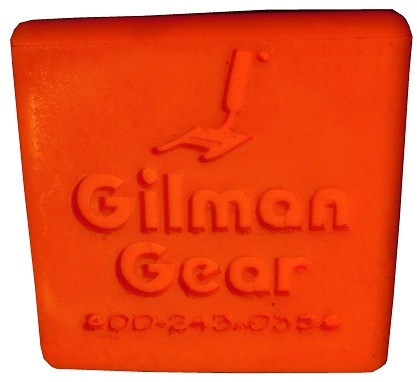 Made by Gilman, CT based Gilman Gear,it measures in at 17.5″ by 17.5″ by 3.7″ this pylon is weighted at the bottom. 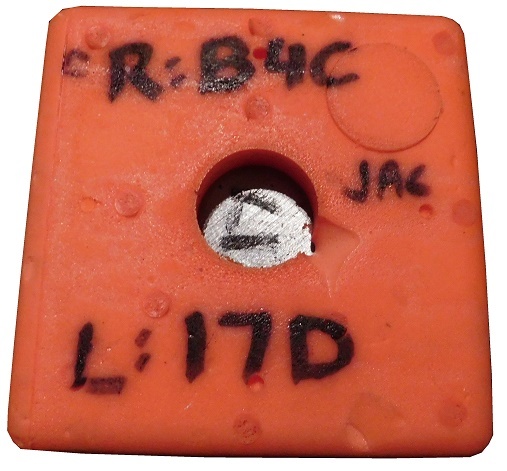 “17 R:B4C 17 JAG L:17D” is written in Sharpie on the bottom. It comes with Steiner authentication. With the end of the NFL season comes the beginning of the racing season. We already had the 24 Hours of Daytona, and next weekend, the NHRA starts back up with the Winternationals. I will also start back with racing stuff, with a driver suit worn by a former Truck Series Champion.